Processed by CUTCNC[CUTCNC? :cutting machine sample maker manufacturer] led light panel[led light panel? 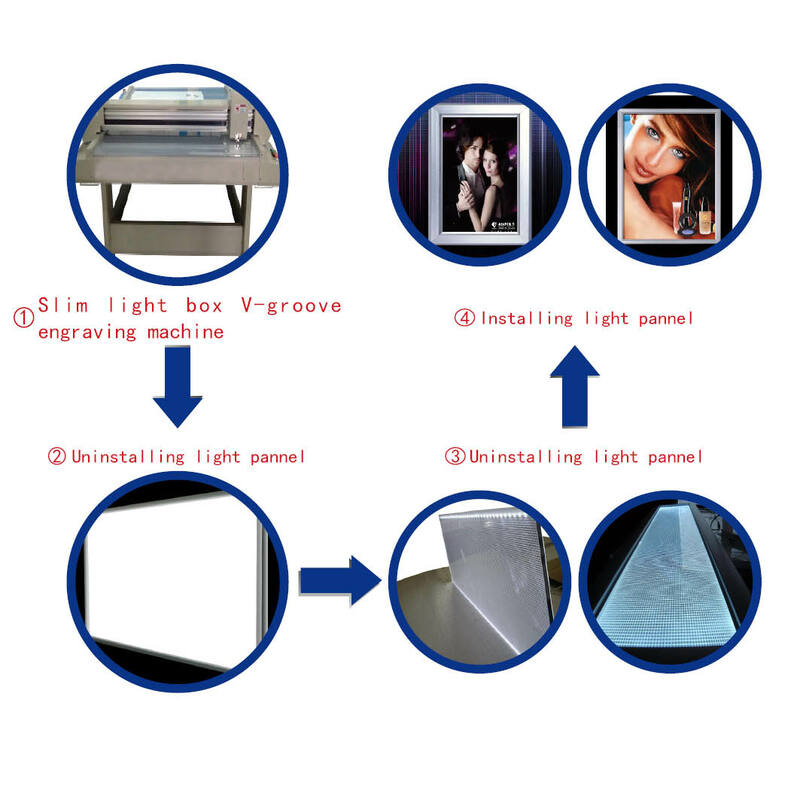 :LED light panel "V-cut" light distribution grid engraving machine] 3D V cutting machine[cutting machine? :CUTCNC sample maker cutting machine], led light panel is widely adopted in advertising[advertising? :advertising material cutting machine] ultra-thin light box[light box? :light box], sign board, shop showcase due to its even light with features of environmental protection and energy saving. CUTCNC led light panel 3D V cutting machine is mainly used to make 3D V cutting[3D V cutting? :using for advertising light box] on led light panel to reflect light. Ensure the same engrave depth, and the same brightness, Ourled light panel 3D V cutting machine created special to process high end slim light box. Our models which can process led light panel: DCP[DCP? :packaging sample cutting machine]-L series led light panel 3D V cutting machine. Slim light box engraving machine equips special engrave knife to engrave V-groove on acrylic LGP(light guide panel).